Karen Ketner graduated from the State University of New York at Stony Brook with a Master of Science in Nursing and Family Nurse Practitioner in 1985. Her clinical practices have included pediatric oncology at Lucile Packard Children's Hospital at Stanford, private family practice and urgent care in Monterey, California, and general pediatrics and urgent care at Kaiser Permanente in Redwood City, California. Karen was a lecturer and co-director of the Family Nurse Practitioner Program at San Jose State University until the program closed in 2008. She continues to be a clinical instructor for pediatrics in the Baccalaureate Program. 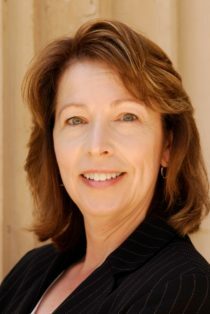 Ms. Ketner served on the Board of Directors and Chaired the Public Relations Committee for both the then-American Academy of Nurse Practitioners and the California Association for Nurse Practitioners (CANP) in the late 1990s. She rejoined the Board of Directors of CANP in 2007, was elected president-elect in 2008 and became president in 2009. Ms. Ketner currently serves as the Region 9 Director of AANP. Ms. Ketner anticipated graduating in May of 2015 with her Doctor of Nursing Practice (DNP) from the University of San Francisco in San Francisco, California.